Super Empire fans united in Atlanta as one of the stars of the hit series came to Atlanta. 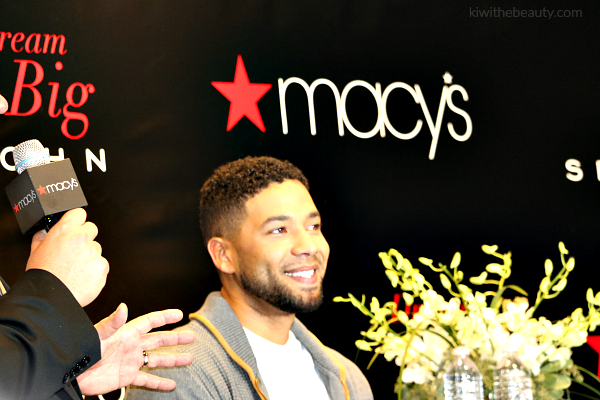 Jussie Smollett aka Jamal Lyons, graced Atlanta with his presence for an exclusive meet & greet with his fans and to introduce his ambassadorship with Sean John. Isn’t he a little cutie! 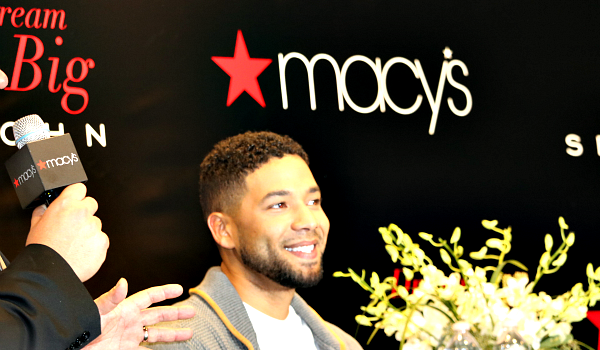 Jussie Smollett, talented actor and singer who is the star of one of the biggest shows on primetime television did his Meet in Greet at Macys Lenox Square Mall in Atlanta,GA. He came in singing and dancing and very humble that the crowd (which was massive) all came by to say hello to him! 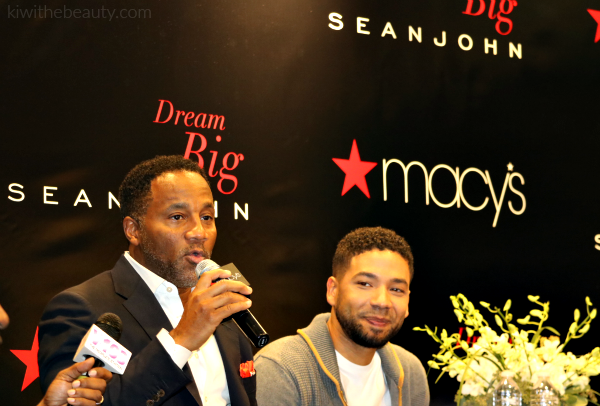 Not only did he do a Meet & Greet at Macy’s he wanted to promote his ambassadorship with Sean John clothing line. Now I will be honest, I didn’t know Sean John was still around. It was created by rapper turned mogul Sean (Puffy + P.Diddy) Combs in the 90s, but clearly they are still in effect. 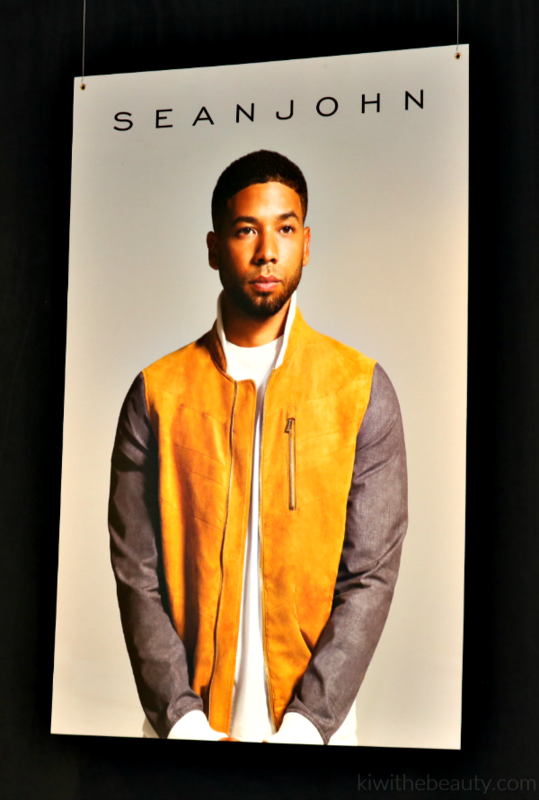 I thought it was a great marketing strategy to re-introduce the brand to the masses again with a hot familiar face and Jussie is the perfect model. He is apart of the holiday campaign which is #DreamBig. Sean John’s #DreamBig campaign chose the Boys and Girls Club to donate $5,000 to the organization of Atlanta and inspire the local children to continue to dream big! 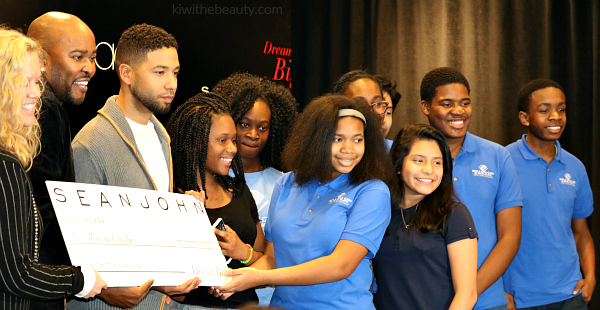 A surprise by Jussie Smollett to the children and the crowd as he introduced the check to the organization and decided on the spot to match Sean John and donate his own $5,000 – so in total the Boys in Girls Club of American received $10,000! What a beautiful contribution to the children! I was actually a blogger social media correspondent for this event and of course I got my own picture for the Meet & Greet. He was dancing when I got to the stage and he gave a genuine hug to me and everyone he met that day! Very excited to meet his cute self and he is very humble and sweet! The Sean John holiday collection is in Macy’s everywhere across the nation inspiring us all this season to #DreamBig. You know, I really feel like I Missed something awesome by not watching Empire. I hear such good things about that show. I need to go back and start it. What an awesome donation to the Boys and Girls Club of Atlanta. That is a great organization! That must have been so much fun. Empire is one of my favorite shows, so I would have loved to meet him. You always go to the best events! This looks like it was a good time! Wow this must have been so exciting! It’s awesome that they donated so much to the BGCA! This looks like it was a lot of fun! I have actually never seen the show, but with eye candy like that I might have to check it out! You appear to be one fun lady! That show was one to show up to for sure! That is a great photo to add to your scrapbook for sure! Looks like you had fun! You can tell he is s genuine person. I wasn’t fully aware Sean John was still around either. Sounds like a really fun event! I wish I could make it! What an awesome event with a great cause. You were lucky to be able to attend. I wish I could get invited to something similar to that. This looks like an awesome event to attend! Looks like a lot of fun for everyone! I love hearing about events like these when you see such opportunity. This one seems like it showed a great effort too! I’ve never seen Empire but he is just all kinds of gorgeous! It looks like a great event to attend. I will have to go to Macy’s and check out the collection. He is just too adorable. I love the story he told about going to Waffle House. It reminded me of my first time visiting one. I love this story and was glad that the boys club was offered a donation and equally please someone from Empire was there to represent thanks for sharing. Why is he so gorgeous!?!? Tell me is he even cuter in person. Wow! What a super fun event! I’ve never seen Empire but it looks like I should start watching. I love that they made a donation to the boys and girls club!! I haven’t heard of him, but he sounds like an amazing person. The event looked really fun. Wow, so cool you got to meet him! I love watching him on Empire! I was in the mall that day but ducked out before the meet and greet to avoid the crowds. Sounds like it was a cool event! I’m not familiar with Empire so I’ll have to catch up. I’d of loved to have been at this event, it’s nearby in my area. I have not started watching Empire but maybe I need to catch up over this holiday break! Thanks for the scoop on this (cute pic too). You seriously go to the best events. This is fabulous. How fun. Looks like you had a blast. I’ve never seen Empire but it looks like a great show. This looks like it was a fun event to be at, especially if you watch the show. Love the donation that took place there too. Yes, he’s definitely a cutie. His character is my favorite on Empire. I didn’t know Sean John was still around either. I love that 5000 was given to the boys and girls club. Empire is my favorite show. What an amazing opportunity to see him.. His voice is amazing!!! Looks like you had a great time and enjoyed yourself. I do not watch Empire but maybe I need to start. I have been hearing a lot about this TV show lately! I will definitely have to check it out sometime. What a fun experience. I bet you will remember this for a while. Looks like it was a fun experience! That was so great of Jussie to donate his own additional $5K! He is a cutie, and you got a really cute picture with him! I adore him. Looks like a fun event. What a great opportunity for you to be able to attend such great event. Bet you had a blast. Confession- I have never seen Empire but I have heard really great things about it. How awesome that you got to interview a cast member, a really cute cast member!! I have never seen this show but it looks like you had a great time at the event. I would love to go to an event for a show that I watch, would be fun! What a great thing for them to give back! Looks like it was a really fun time. I haven’t watched Empire, but it looks like you had a great time! Great photo of you two together! How lucky are you? Looks like you had a FABULOUS time! This is one show that I have yet to see, but have heard nothing but great things about! I’m super jeaslous! Big #Empire fan. This looks like a very exciting and fun event! Thanks for sharing your experience! It’s always cool to see celebrities up close! What a neat thing!! Thanks for sharing this – Definitely something to look into! This sounds like a great event! i would love to attend something like this as a blogger! how fun! I would have loved to attend this event! I would love to meet Jussie Smollett! Such an awesome experience. Thank you for sharing.